There are 31 MRT stations that are available for use from Sungai Buloh to Kajang covering a distance of 51km. The end-to-end journey will take about 84 minutes. The operation hours of the MRT are from 6am to midnight from Mondays-Fridays and 6am-11:30pm on Saturdays and Sundays. Fare ranges from RM1.20 to RM5.50 for cashless payment. The fare for payment by token using cash is higher and ranges from RM1.20 to RM6.40. It is advisable to use cashless payment if you are using this line regularly. Senior citizens, disabled and students can apply MyRapid Concession Cards for 50% discount on LRT, BRT, Rapid KL Bus, MRT and Monorail. See more details here. Feeder buses tickets are priced at RM1 per person and is the most affordable mode of transport. Parking fees for users of the MRT will be RM4.30/entry for cars and RM1.10/entry for motorcycles. Non-users will be charged based on hourly rates. Tracking is by the use of Touch 'n Go card. Here are some of the places of interest and food within the vicinity of the MRT Stations. Sungai Buloh (Parking Bays Available)- feeder buses available for transit to Hospital Sg. Buloh, Bukit Rahman Putra and Kg. Paya Jaras. Kampung Selamat - feeder buses available to Kg. Baru Sg. Buloh. 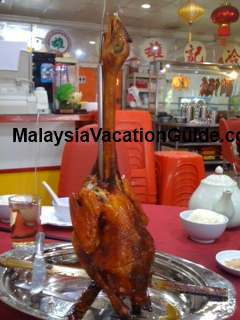 Food at Bandar Baru Sungai Buloh include the famous roast chicken at Lee Hong Kee Restaurant. The other restaurant worth trying is Jeff Kitchen which is famous for roast duck, roast chicken, porridge and signature noodles. You will need to take the MRT feeder bus T104, a 10-15 minutes ride to get there. 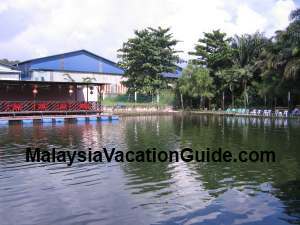 You can go for pond fishing beside Yim Her Restaurant. Find out more here. Kwasa Sentral (Parking Bays Available) - feeder buses available to Section 6, 7 & 8 Kota Damansara and Subang Bestari. Kota Damansara - feeder buses available to Section 6, Kota Damansara and Selangor Science Park. Surian - feeder buses available to Mutiara Tropicana and Section 11, Kota Damansara. Sunway Nexis is connected to this station. 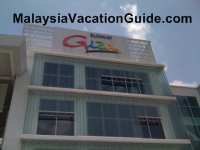 Sunway Giza Shopping Mall is located here. Village Grocer, Nandos and MPH have outlets here. 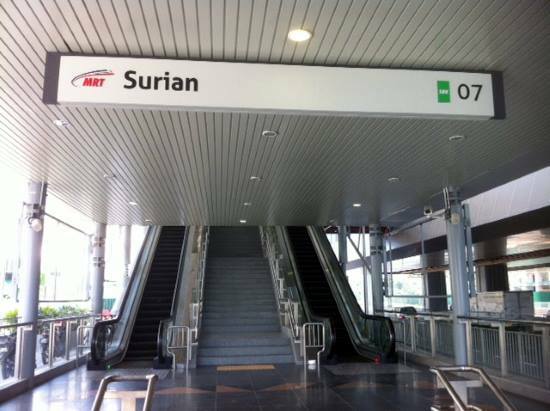 One of the MRT Stations near Sunway Nexis is Surian Station. Mutiara Damansara - feeder buses available to Damansara Perdana and Bukit Lanjan. Take a 15 minutes walk to the Curve Shopping Centre. Bandar Utama (Parking Bays Available) - feeder buses available to Kg. Kayu Ara(Utama), TTDI North and Kg. Sg. Penchala. 1 Utama Shopping Centre provides free shuttle service from this station. Taman Tun Dr Ismail - feeder buses available to SS22 Damansara Jaya and TTDI. Phileo Damansara (Parking Bays Available) - feeder buses available to Universiti Malaya and SS2 Petaling Jaya. Pusat Bandar Damansara (Parking Bays Available) - feeder buses available to Mid Valley, Sri Hartamas, Menara DBKL and KL Sentral. Semantan - feeder buses available to Kompleks Mahkamah Jln Duta. 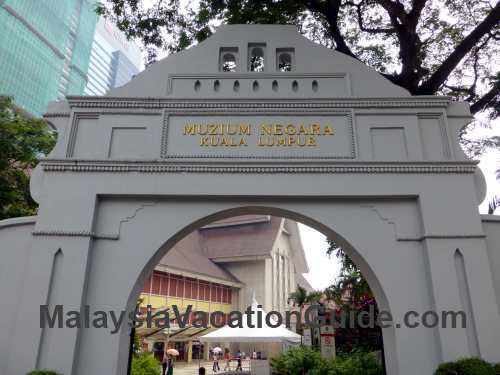 Muzium Negara - Visit the National Museum or take a walk to KL Sentral for connections to KLIA/KLIA2 ERL, Monorail Line, Kelana Jaya LRT Line, Komuter Trains and KTM Intercity Trains. 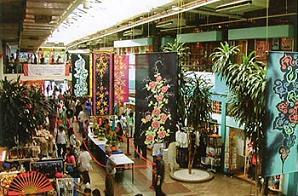 Pasar Seni - Get your art and crafts from Central Market or make your connection to LRT Kelana Jaya Line. 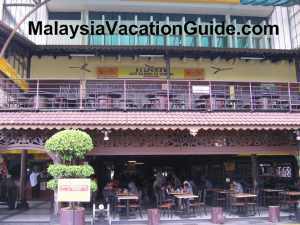 Try the famous Soong Kee beef noodles near Petaling Street. You will need to take a 5 minutes walk from the station. See more Chinese food around here. 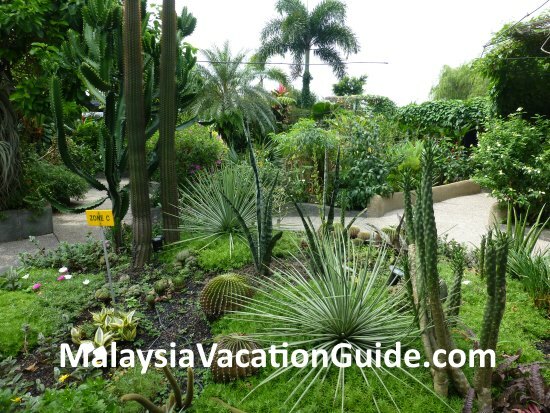 Merdeka - Take a walk to transfer to Ampang LRT Line. Stadium Negara is about 5 minutes walk away from this station. Bukit Bintang - Transfer to Monorail line using the Bukit Bintang-AirAsia Station, Pavilion KL, Lot 10 and Sungai Wang Plaza shopping malls are within walking distance. Tun Razak Exchange - Feeder buses are provided to go to surrounding areas. Cochrane - Mytown Shopping Mall and Ikea Cheras are located here. Feeder buses are provided here. Try the Chinese Nasi Lemak at Peel Road which has been around for more than two decades. Stall operates from 2:30pm-8:30pm daily except Thursday. 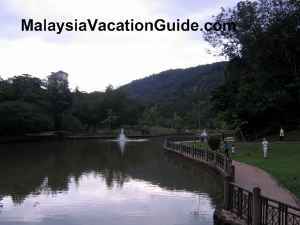 Maluri - Sunway Velocity Shopping Mall is located here. Transit to Ampang Line LRT here. Parking bays are available here. Taman Pertama - The Cheras Christian Cemetery is the place where Commonwealth soldiers who perished during the second World War were buried. Taman Midah - Parking bays available here. The night market is held nearby every Saturday. Taman Mutiara - Feeder buses available. 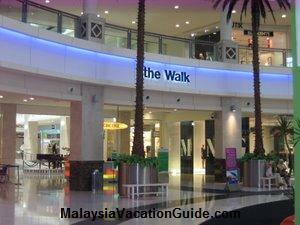 Walk to Cheras Leisure Mall if you are into shopping. 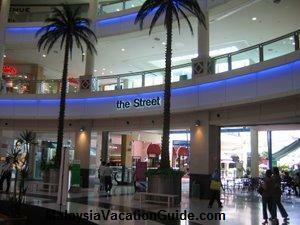 There are also many shops and restaurants behind the mall. Take a 10 minutes walk from this station to Auntie Lora Kopitiam, Jalan Manis 4 which operates from 6am-5pm daily except Mondays. 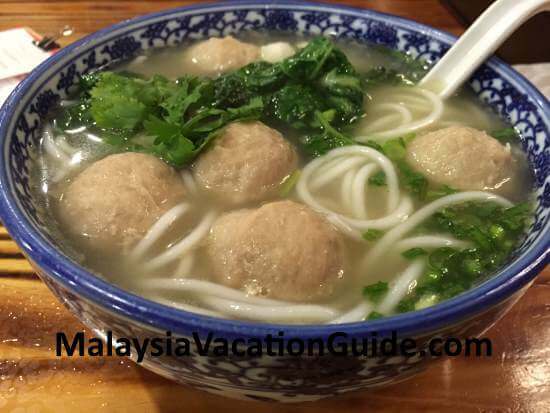 The prawn noodles and asam laksa are worth trying. Taman Connaught - Feeder buses available. 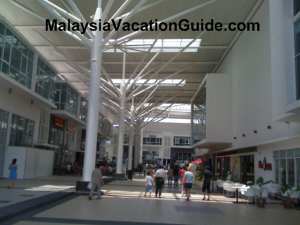 Cheras Sentral Mall is located here as well. Go on Wednesdays and visit the 2km night market at Jalan Cerdas, many of the stalls operate until midnight. Taman Suntex - Feeder buses and parking bays are available. The Pasar Suntex morning market is just outside the station. This wet market operates from 6am-12pm and is the place to get reasonably priced produce. Sri Raya - Feeder buses are available. Bandar Tun Hussein Onn - Feeder buses and parking bays are available. Batu 11 Cheras - Feeder buses are available. Bukit Dukung - Feeder buses and parking bays are available. Feeder bus T453 takes you to UTAR Sungai Long City Campus as well as Sungai Long golf and Country Club. Sungai Jernih- Feeder buses and parking bays are available. 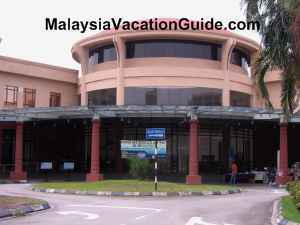 KPJ Kajang Specialist Hospital is located here. Stadium Kajang - Feeder buses are available. 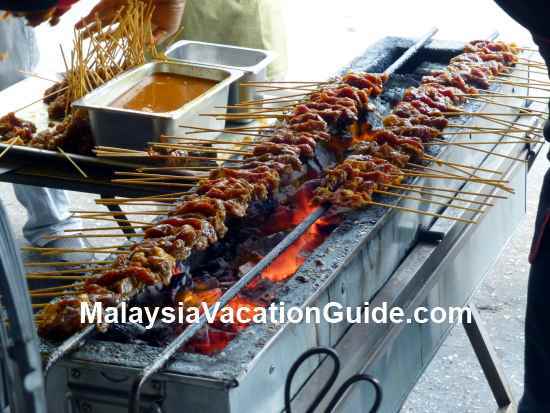 Go for Satay Kajang while you are here. The famous Haji Samuri Sate is located just outside the station. 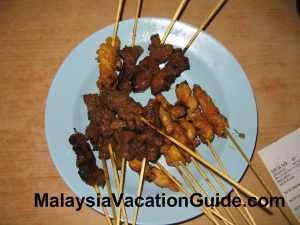 The other good satay to try is Willy Satay at Ramal Food Junction but you will need to take a taxi or Uber/Grab car to get here. Kajang - Feeder buses and parking bays are available. You can transit to KTM Komuter Seremban Line Train from this station.